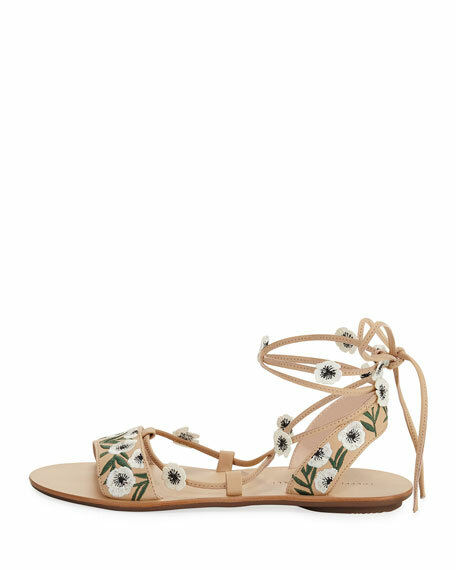 Loeffler Randall sandal in vachetta leather with floral embroidery. Self-tie ankle wrap with floral details. 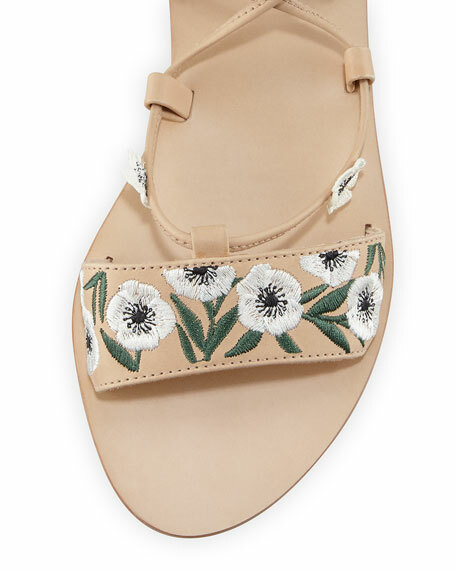 "Fleura" is made in Brazil. For in-store inquiries, use sku #2175729.